Smoothie is a nice way to beat summer. I prepare a lot of smoothies using seasonal fruits. Muskmelon will be available in abundant and cheap (kg Rs.20) during summers. 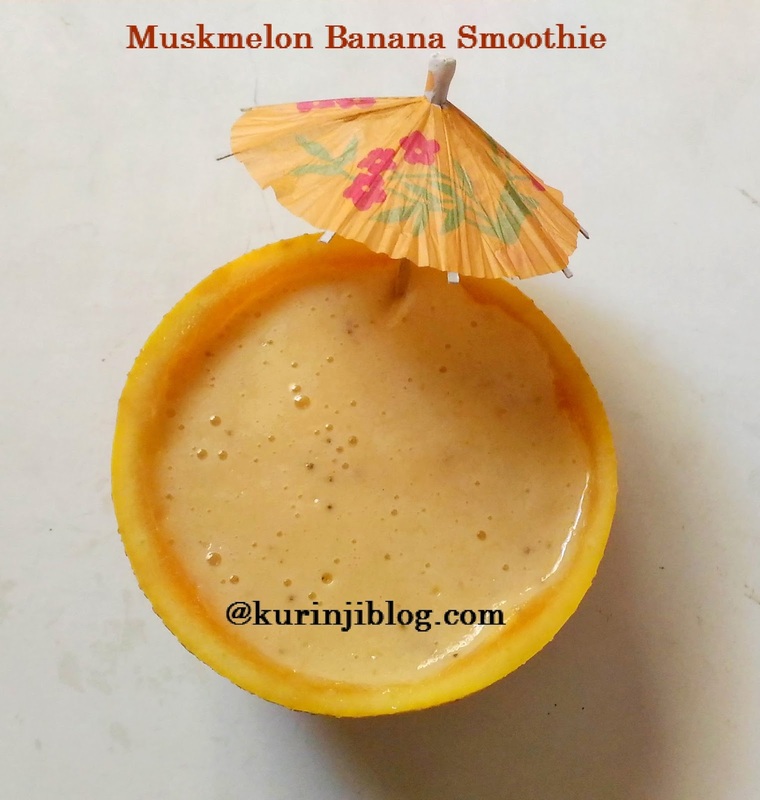 Add Muskmelon banana smoothie to your summer recipe book. 1. Wash and remove the skin and seeds of the muskmelon. 2. Then cut them into small pieces. 3. Remove the skin of the banana and cut it into small pieces. 3. 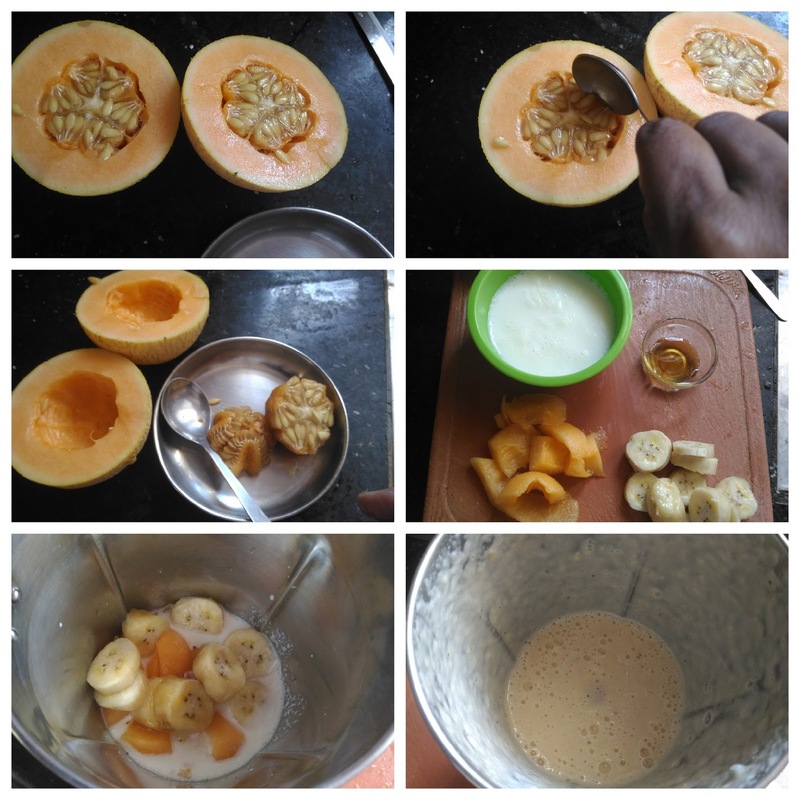 Blend the muskmelon (from 2), banana (from 3), milk and honey into a smooth paste using the blender or mixie jar. Healthy and tasty smoothie is ready! Serve it immediately. 2. Use any type of bananas. But use ripe banana only. 3. Use chilled milk also. Otherwise make smoothie and refrigerate for an hour, then serve.